ISTANBUL—Turkey and Somalia on Friday inked a protocol on land exchange for diplomatic representation. 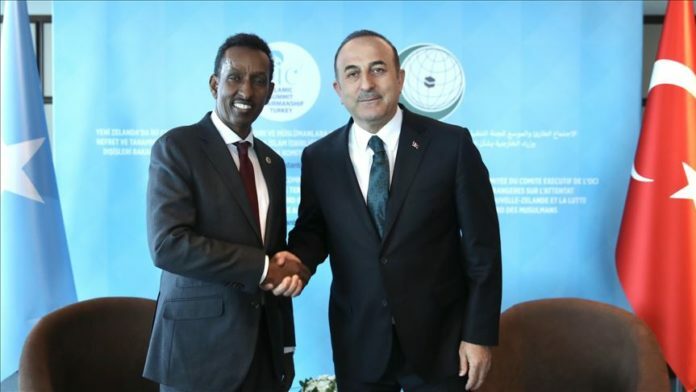 Turkish Foreign Minister Mevlut Cavusoglu met with his Somali counterpart Ahmed Isse Awad, who visited Istanbul to attend an emergency meeting of the Organization of the Islamic Cooperation on the fight against hate and intolerance towards Muslims in New Zealand. After the meeting, the two sides signed the protocol on land exchange for diplomatic representation.